Can you believe it’s already February!? How is 2019 going for you so far? Personally, it’s been a challenging start to the year. Since arriving in Guatemala in December I’ve been faced with challenge after challenge, fear after fear. This is, after all, part of the reason I wanted to come to this place. To learn more about myself. To overcome some of the tough stuff and to grow in all the ways that I could. Which is exactly why I knew I needed to take a few days to myself to integrate, decompress, relax, and find some clarity in what this year will bring for me. 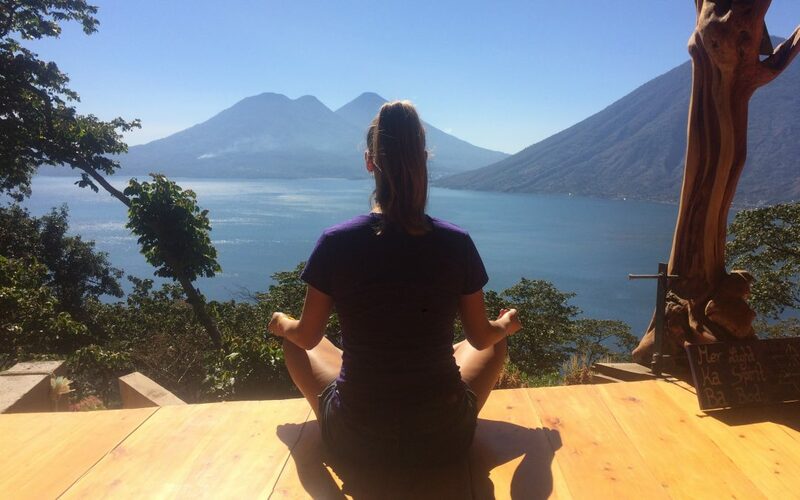 So, last week I took off across the lake and spent 3 nights (4 days) secluded at a yoga lodge here on Lake Atitlan. There were A LOT of reasons that I “shouldn’t” have gone… It’s expensive… I have work I should do… I’ll get bored… But then I remembered my commitment to self-care and just made it happen! And it’s just what I needed! Every time I take time off from the daily “to dos” and technology I ALWAYS discover deeper layers of myself and gain more clarity and motivation than reading any new book or watching an inspiring video. The truth is that we ALL have the answers to our problems/struggles already within is. We just can’t see them. When we take a step back to give ourselves some mental space, the answers are there waiting for us. Are you struggling with something right now? Maybe you have some big questions like whether you should quit your job or stay in your relationship. Maybe, like me, you’re searching for clarity and next steps for your life. 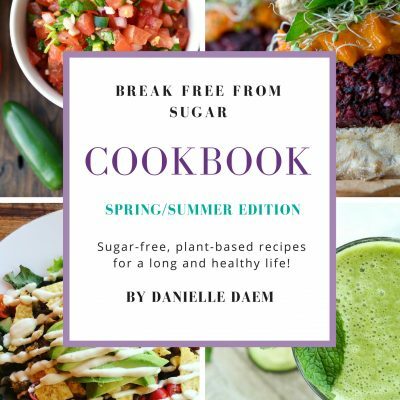 Or you’re looking for some inspiration and answers around your health struggles. Taking what I like to call an Adult Time Out is one of the BEST ways to uncover these answers for yourself. It doesn’t’ have to be 4 days. Even just taking one day or one afternoon to yourself to be, to reflect, to dig deep is powerful. These last 2 months have taught me A LOT. I’m so thankful. And during my 4 days of mostly silence and total technology detox, I was able to re-connect to my deeper intuition and purpose on this planet. Doing nothing is hard but important. I’ve been learning a lot here in Guatemala about the art of doing nothing. Of just being. Of not needing to produce or DO anything to feel accomplished in a day. This is an art that so many other countries have mastered (siesta time?) yet in North America we all struggle. If I don’t have something to show for my day, does it make me worthless? This is a lesson and practice that I’m working on. That was thrown at me during my first week here by getting a bad cold and having to sit in a hammock for 7 days. It’s MORE than OK to just be. To focus on what brings you joy and not necessarily what society tells you is the definition of a successful day. To listen to your body and honor what it needs. My relationship with food is still a work in progress. I feel very confident in my freedom with sugar, but with food, in general, I still have work to do. It was interesting to observe that since my nightly fee included 3 beautiful vegan meals a day, I felt this pull to take full advantage and often found myself eating too much and then feeling a bit of regret after. This also plays into my money mindset (still a work in progess) as I’ve always had a pull… I think we all do… to taking advantage when things are “free” or “included” even if we don’t really need or want them. Food brings me pleasure. And in itself, that’s not a big deal. Of course, healthy good food will always bring us pleasure, it’s part of our nature. But during my 36 hour fast (another test I was trying for the first time), I couldn’t help but reflect on my pull towards wanting something to eat. Not because the hunger pains were too much (they really weren’t that bad), but because my brain wanted the taste and pleasure that I get from good healthy food. I’m still learning, observing and discovering these little subtleties that I want to work on. I want to be able to skip meals or fast without feeling that pull to “need” food. I now know that my body is completely OK without. And this is leading me to test some new things in February with eating less – 2 big meals a day and a healthy smoothie only for dinner. I’d say the most exciting thing that I got out of my solo-retreat was clarity around how I want to show up in this world and make the biggest impact I can. I’m SO EXCITED to share with you a few big changes that are coming to the way that I support you. I can’t wait to get working on a few new goals I’ve set for myself in 2019 (stay tuned). One of which is to grow the amazing Sugar Freedom Collective community and add some amazing value and free services for members. I’m so passionate about this community and can’t wait to continue supporting as many people as there. (Not a member yet? Come check it out HERE). The bottom line is that whatever you’re struggling with, (we all have something) I believe the real path to finding a solution is giving yourself mental and physical space to discover the answers from within…. not looking outside. Take an Adult Time Out. Make it a habit. A ritual. A serious act of self-love and self-care. Because you already have the answers you need to live your healthiest and most joyful life possible. It just takes a little looking, learning, and tweaking as you go. Remember to stay curious. Observe. Learn. No judgment or guilt.